Can you believe it's almost Christmas!? My mom says that I say this every year but THIS year I am really feeling the holiday spirit. I don't know if it's the fact that I've finally left the nest, or because we'll be hosting our first Thanksgiving but I just can't wait for the festivities to begin! Naturally, the first thing I want to do is to prep our space. With Christmas decorations and family celebrations ahead, a deep clean is all but necessary. So I've been cleaning and organizing our loft like a mad woman and it feels SO good! Now that everything is spick and span, I have a clean slate to work from and embrace holiday decorating! 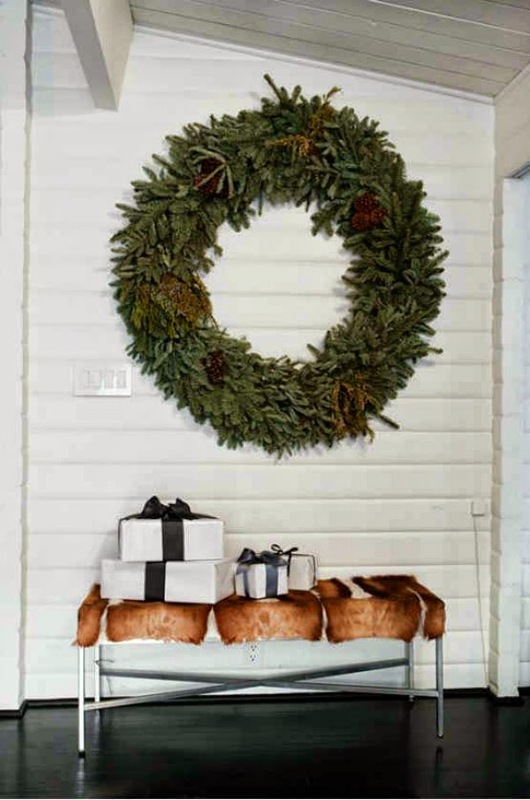 This image really inspired me because this year, I am loving large scale elements, simple decor, and luxe details. 1 // do a deep clean - this helps prepare your space and your mind for the festivities ahead. 4 // prioritize - set all of your holiday items out in a separate room to evaluate what you truly love and what can be kept tucked away. Happy almost holidays you guys! Happy Thanksgiving to you too Susan! I hope it was great!